Tribune Chronicle / Ron Selak Jr. This announcement was taped to the front door of Vista Window Company, which closed its doors Monday. 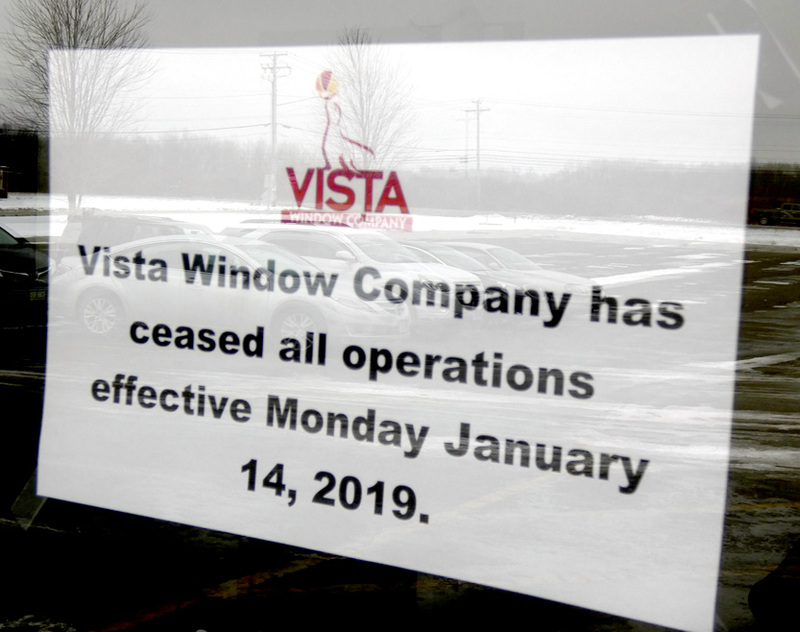 LORDSTOWN — The village’s and Trumbull County’s economies have taken another hit with the sudden closure of Vista Window Company. A notice posted to the door of the Henn Parkway SW facility states the company “ceased all operations” effective Monday. A message on the facility’s voicemail states the closure is “due to unforeseen circumstances beyond anyone’s control.” The message does not provide for callers to leave a message. An indefinite layoff notice to employees dated Monday states the layoffs are due to a decrease in sales volume. No one answered the door at the building, 1701 Henn Parkway SW, nor was the company’s website working Monday. An email seeking comment was sent to a company official listed on the voicemail. Bloomberg shows the company, founded in 2001, manufactures vinyl replacement windows and patio doors. It sold the products on a direct wholesale basis to remodelers and through retailers. There was a second location in Swainsboro, Ga., according to Bloomberg; however, it’s unclear if that facility was impacted, too, by the closure, or if it remains affiliated with Vista. The company is part of Portland, Maine-based Paradigm Windows, according to an ex-employee. A woman who answered the phone at the company directed questions to the company official to whom the Tribune Chronicle sent the email. Another former employee, Guy Milano of Austintown, said the company once employed more than 100 on two production shifts, but started to downsize in the last 18 months. About 80 percent of the workforce was laid off in the last four weeks, he said. 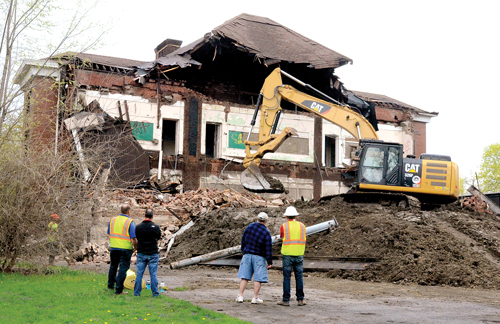 “We saw the writing on the wall when you’re emptying out the warehouse and other facilities and consolidating materials in one location,” said Milano, who worked in the maintenance department. Vista, he said, has a warehouse at the Ohio Commerce Center on Tod Avenue SW and a paint shop on Main Street SW in Warren. “A lot of people out there are pretty devastated by this,” said Milano, who worked at the plant for about seven years. The building is directly across the road from Lordstown Seating Systems, a subsidiary of automotive supply company Magna, which made the seats for the Lordstown-built Chevrolet Cruze. With the announcement by General Motors it intends to idle the General Motors plant in Lordstown and four others in North America, Lordstown Seating will layoff nearly all of its staff in February. The layoffs at the assembly plant, also nearby Henn Parkway SW, are to happen in March. About 120 employees at the seatmaker will be affected.